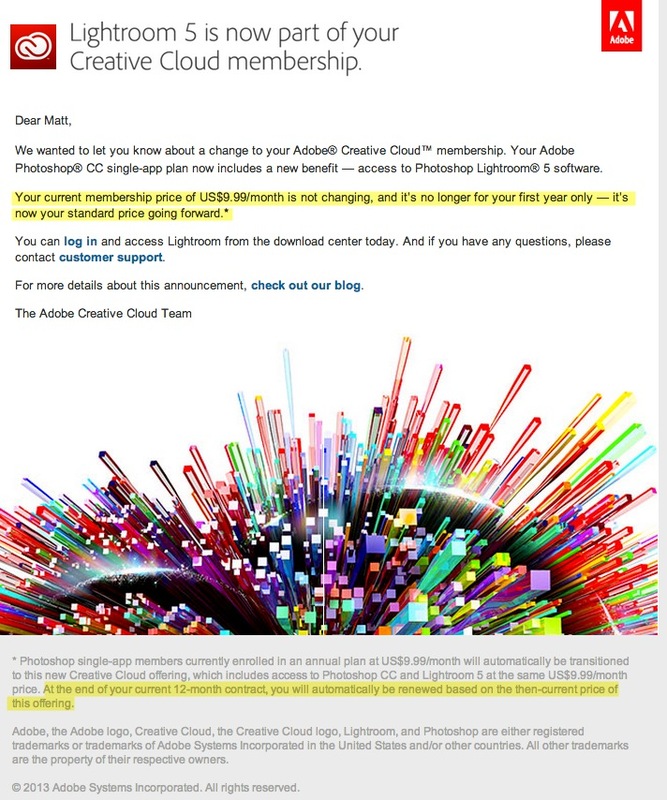 Think that $9.99/month Adobe Photoshop Photography Plan won't increase after a year? Guess again and read the fine print. Adobe still trying to screw us.